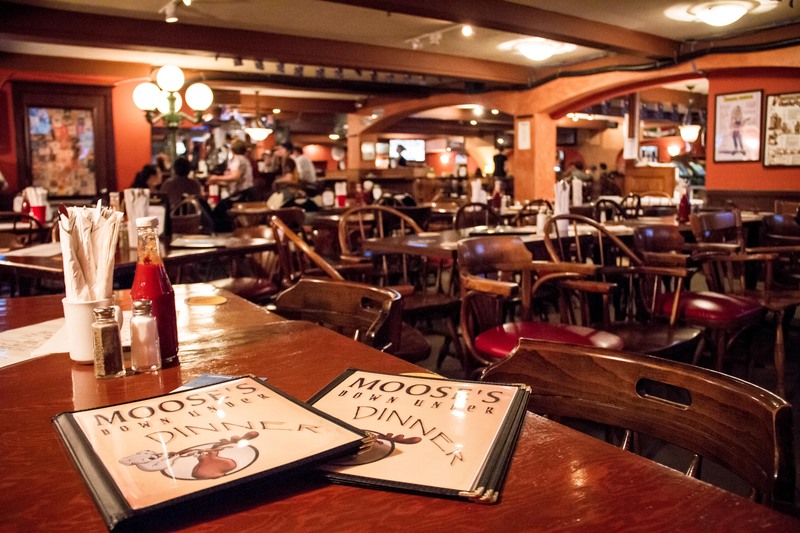 Moose’s Down Under is the perfect venue for your next big occasion! We have lots of space and a unique, affordable food and drink menu. We never charge a venue rental cost, and don’t require a deposit. We just want to help you celebrate! At Moose’s we’re extremely flexible to your needs. You can book our whole venue, or we can set aside a section for your guests. We can design a menu to fit your budget, and arrange for a DJ, if it’s an occasion that calls for some booty shakin’! We’ve hosted all sorts of functions over the years, for breakfast, lunch, dinner and drinks! Fundraisers, weddings, birthdays, Christenings, Graduations, Awards presentation nights, Christmas parties, networking events, even wakes! Contact Corina to find out how we can help with your next big event! Call us on 604 683 3300, or send us an email.